Simon, the Chief Technology Officer and head of the IT department of the university asked Emma from the literature department for a review of PlagScan. After 6 months of using PlagScan, most of the teachers used it on a regular basis to check their students' papers. Therefore Simon decided to offer the service to the entire campus. A central requirement for that is to be usable via the university's Learning Management System (LMS) for optimal integration in with existing workflows. PlagScan's Plug-In for Moodle enables a complete integration of PlagScan into Moodle versions 2 or later. Installation is efficient and easy. Read here for more information on how to install the PlagScan Plug-In for Moodle. PlagScan's Plug-In for Canvas enables a complete integration of PlagScan. You can conveniently access PlagScan's plagiarism checking capabilities and other features while maintaining full control over all settings and filters, as well as the PlagScan interface. PlagScan can also be installed as an external Schoology LMS app. Conveniently access PlagScan's plagiarism checking capabilities and other features while maintaining full control over all settings and filters, as well as the PlagScan interface. 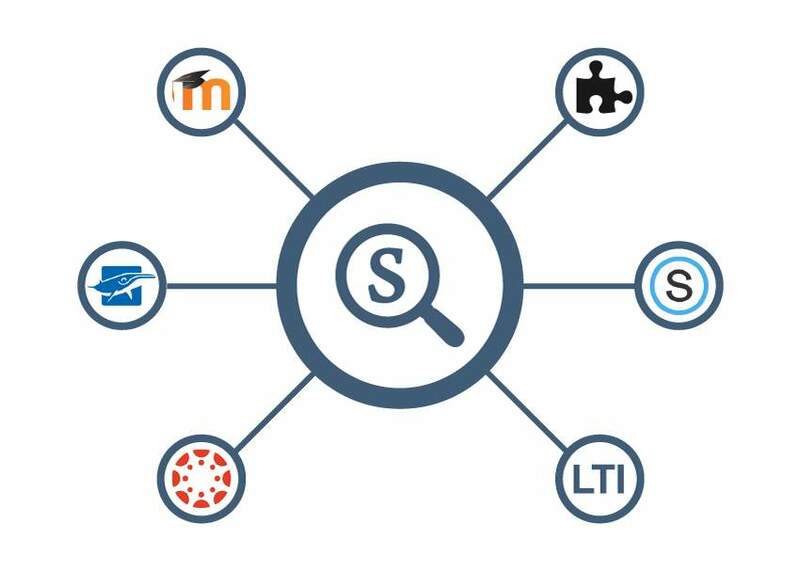 Several Learning Management Systems (LMS) already include PlagScan plagiarism checking capabilities as a built-in solution rather than as a plugin. For example, Schoolbox uses PlagScan to scan and generate reports on student submissions automatically. You can learn more about Schoolbox/PlagScan integration at the Schoolbox Wiki. Log-in with an administrator account and access the API Setup page. Then, you generate an API key to authenticate your account. (Optional) Set the call-back URL for completion notifications. (Optional) Define the IP address or IP range (CIDR format: 1.2.3.4/24) from which requests with his API key may originate for extra security. Your requests are always sent as POST requests to https://api.plagscan.com. They must be accompanied by the organization's identification key. The reply is generally sent as XML data, with the exception of a RETRIEVE method with a MODE equal to or greater than 3: Annotated docx files (RETRIEVE method with MODE=3) are sent as plain binary data. A RETRIEVE method with MODE=4 or higher will return reports in valid HTML but not XML. NOTE: In order to actually execute plagiarism checks and retrieve results, your account need to be unlocked and must have some test credit available. This document is intended as a reference to give you a basic idea of what is possible. For more information, you can take a look at this API documentation. Don't hesitate to contact us at api@plagscan.com if you have any questions! Follow Simon's example and integrate PlagScan into your workflow for a fully automated solution!